Here is a list of top tourist attractions in Kiribati. Only the topmost tourist destinations are presented here. 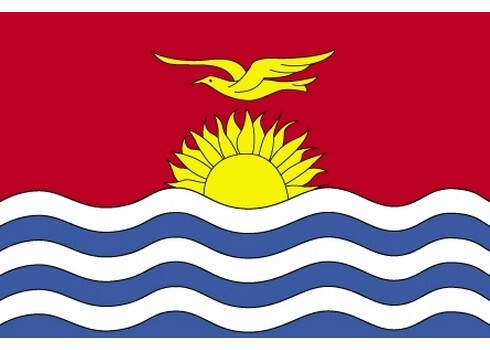 To see other destinations, please check the images from Kiribati section. Curious if any of these place from Kiribati made it our best tourist attractions in the world list? Read the aformentioned article in order to find out. You can also view all tourist attractions in Kiribati and other countries on our tourist attractions map. Tabuaeran, also known as Fanning Island or Fanning Atoll is one of the Line Islands of the central Pacific Ocean, and part of Kiribati. It is an atoll located at 3°51′36″N 159°21′52″W﻿ / ﻿3.86000°N 159.36444°W. The land area is 33.73 sq.km, and the population in 2010 was 1,960. The maximum elevation is about 3 m above high tide.